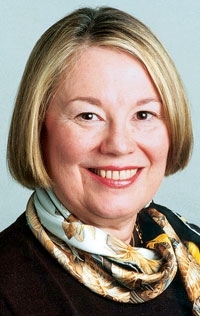 Maryann Keller is an automotive consultant, author and director of Lithia Inc. She is based in Stamford, Conn.
Bankruptcy will restructure General Motors into a smaller, leaner and cost-competitive company. The bankruptcy process is supposed to provide a second chance, and the idea of creating a viable business out of GM's good assets makes sense and comes at a time when the competition doesn't look as formidable as it once did. Let's face it: Much of the success of the Japanese auto companies in the United States came about as a result of Detroit's failures. GM, Ford Motor Co. and Chrysler made it easy for the competition by not matching them in quality, not renewing their product lineups on a timely basis, virtually ignoring the sedan buyer and diverting resources away from North America and even away from auto assembly. If GM restructures quickly, it can emerge as the low-cost producer in North America and use that position to gain market share quickly. Ironically, some of GM's competitors aren't looking invincible anymore. At ¥100 to the dollar, imports from Japan aren't profitable. Nissan Motor Co. will lose money this year; and, despite Carlos Ghosn's magic, it has yet to demonstrate consistent product strength. Toyota Motor Corp.'s quality is not rock-solid anymore. The residual values of its vehicles are falling, and product proliferation is confusing buyers and dealers. The blind quest to be No. 1 left Toyota with global excess capacity. I have always said the United States needs a competitive auto industry. But the old Detroit model provided diminishing value to the nation, as successive management teams embraced one investment scheme after another that had nothing to do with making cars. GM's leaders have played kick the can with dozens of insufficient and ineffective restructurings, ridiculous acquisitions and investments. They promised huge returns from globalization, financial services, Internet innovations and owning dealerships. They wasted precious cash on stock buybacks and dividends instead of investing in vehicles. GM has been dying since the 1970s. The UAW wanted to believe that GM could pass along the union's generous wages and benefits to car buyers even as those obligations sapped the company's ability to invest and customers fled to the competition. The new GM needs only two brands, Chevrolet and Cadillac, and it needs to shrink its dealer body if it is to make decent profits so it can support those brands. With the right international assets, the new GM would be a formidable global competitor. But bankruptcy can't change corporate culture. The greatest doubts about GM's future aren't about putting together assets. Rather, they are about whether the right leader can be found to break down the groupthink, my-boss-is-never-wrong, we-are-the-victim mentality that destroyed GM. As an investment analyst and as a director of public companies, I have seen the importance of the right CEO in setting expectations and holding executives accountable. I'm not sure that I could give you a list of criteria that define leadership, but I know a leader when I see one. Unfortunately, GM's culture does not create leaders. I had high hopes for GM when Jack Smith was named president in a boardroom revolt in 1992. I thought surely such a transformational event would change the culture. Instead, we got Inaki Lopez, the China/global strategy, share buybacks, big paydays for executives that encouraged richer labor contracts, Hummer and tolerance of market share loss. So what assurance is there that current executives can run with a reborn GM? Despite all the hand-wringing that Ford's Alan Mulally was not a car guy, he has brought Ford relative stability while Rick Wagoner did the opposite at GM. Mulally's performance to date represents leadership, even though one has to wonder whether the old Ford with its warfare politics isn't lurking below the surface waiting for Mulally to retire. The GM board of directors bears responsibility for the company's fate. The most important responsibility of the board is naming and firing the CEO. Those aren't actions to be taken lightly. They should be the result of assessing outcomes against plans and not accepting excuses that gasoline prices soared, credit markets froze and the yen is undervalued as reasons to hold onto a job. The GM board deserves a failing grade, and the new GM deserves directors who will be fully engaged. The new board has to ensure that the vitality of the new company isn't squandered as soon as there is evidence of a comeback. I never owned a share of General Motors during my 28 years on Wall Street and in the 10 years since. But if bankruptcy delivers a low-cost, competitive company, I'm ready to buy.